A 15mm Double check non return valve compression fitting. Suitable for use on plastic pipe. 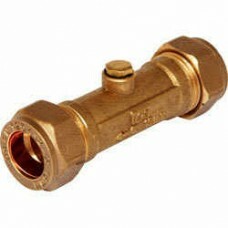 A double check valve is normally used in hard water areas. Used to stop back flow of water in shower installations.